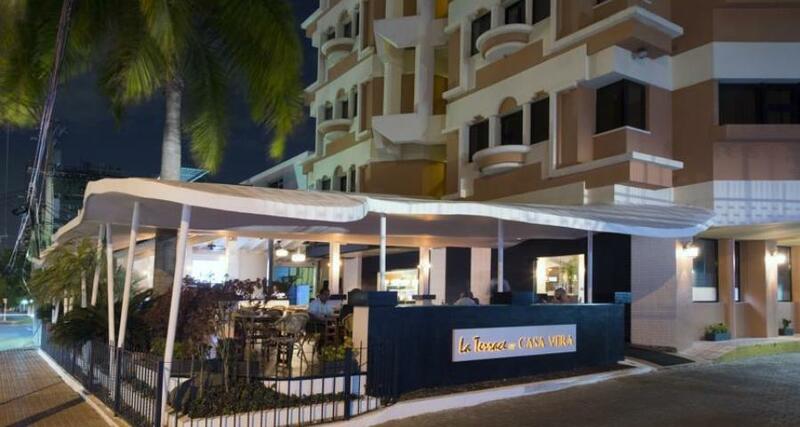 W and P Santo Domingo is a 4* hotel located in Santo Domingo, Dominican Republic. It features 138 rooms, swimming pools and spa services. W and P Santo Domingo is a business hotel located in the heart of the financial and entertainment district of Santo Domingo, making it an ideal option to spend a productive and relaxing stay. All of the guestrooms are nicely decorated and feature convenient amenities, including Wi-Fi, a mini-fridge and cable television. W and P Santo Domingo also offers comfortable facilities, such as an elegant restaurant, a modern rooftop terrace with a swimming pool and bar, as well as excellent business services like a meeting room, event rooms, parking and laundry.